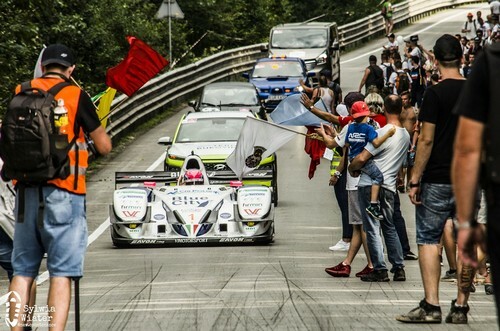 Just back from his overall victory at the 9th round of the European Hill Climb Championship in Poland, Osella works driver Christian Merli is competing in the 28th Trofeo Lodovico Scarfiotti – Sarnano-Sassotetto in central Italy on Sunday. It is the 7th round of the Italian hill climb championship CIVM and a key race of the Italian season, contested in a single run on a very technical track of 8.877 km from Sant’Eusebio to Fonte Lardina at an altitude of 1277 metres. 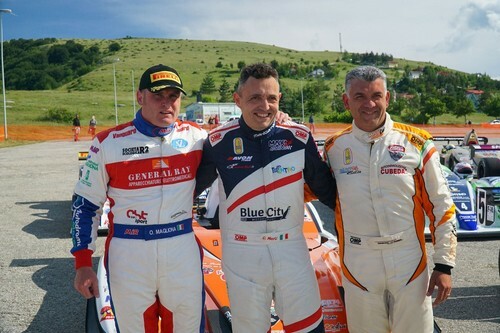 In the Italian hill climb championship, the Team Blue City Motorsport leader won Race 1 and set a new track record at Nevegal but was stopped by rain in Race 2. He won Verzegnis and Ascoli, breaking the track record in each. Then the victory at the Trento – Bondone, his local hill. The provisional ranking sees Omar Magliona from Sardinia, with the Norma M20 FC, in pole position with 77.5 points, followed by Merli and Cubeda with 70. 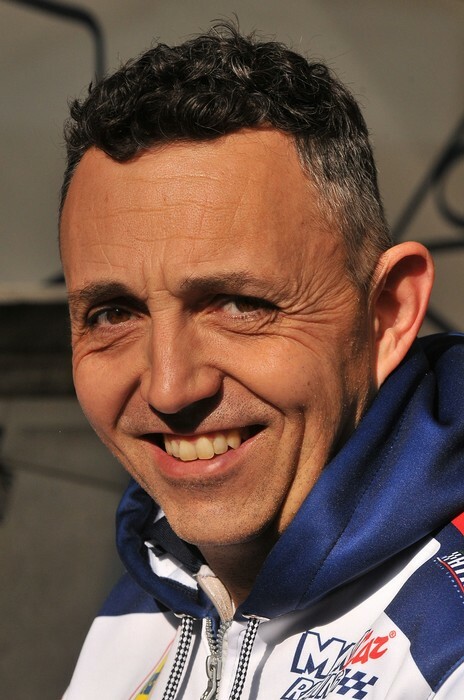 The last four editions of the Sarnano race were dominated by Simone Faggioli, who in 2017 clinched victory in 3’42”97. 6 May: Alpe del Nevegal (Belluno province) – winner Omar Magliona (Norma M20 FC), 27 May: Verzegnis – Sella Chianzutan (Friuli Venezia Giulia region) – Christian Merli, 10 June: Coppa Selva di Fasano (Apulia) – Magliona, 24 June: Coppa Paolino Teodori (Marche) – Merli, 1 July: Trento – Bondone (Trentino) – Merli, 22 July: Salita Morano Campotenese (Calabria) – Domenico Cubeda (Osella FA 30), 5 Aug: Trofeo Scarfiotti (Marche), 19 Aug: Trofeo Luigi Fagioli (Umbria), 2 Sept: Pedavena – Croce d’Aune (Veneto), 16 Sept: Monte Erice (Sicily), 23 Sept: Coppa Nissena (Sicily), 7 Oct: Luzzi Sambucina (Calabria).